crept to 87 degrees earlier this month. GRAND RAPIDS — Thanks to this summer’s hot weather, the city’s outdoor pools were busier than ever. fundraising drive that opened the pools say this summer’s success is no guarantee the pools will reopen next summer. 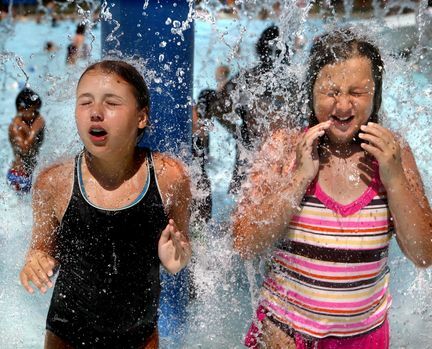 Here’s how this summer compared to past seasons at Grand Rapids’ outdoor swimming pools. gathering information to see how other cities operate their pools. Mayor George Heartwell was less enthusiastic about the city’s future in funding pools. “It’s a very expensive service that the city provides,” he said. “It’s a wonderful service, but it’s very expensive.